Since the past 3 months, I have been facing a problem. 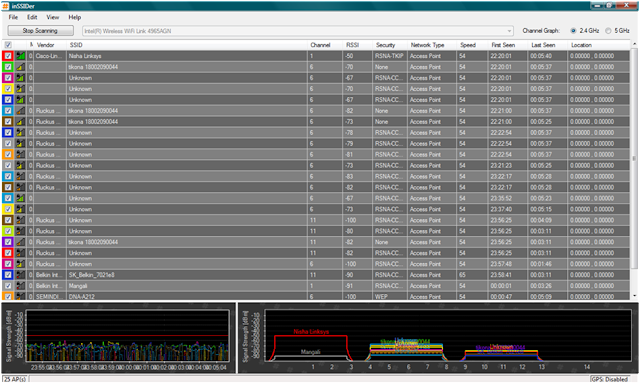 I connect to the internet on my laptop through a Linksys wi-fi router, and at least twice a day, I face connectivity issues. Either I just cannot find my wi-fi network, or my laptop automatically disconnects. Using a standard procedure to troubleshoot a wi-fi connection, I tried moving my router closer to the living room where I access the net. And then I tried to change the channel on which my router connects. In order to do this, I downloaded inSSIDer from Metageek. InSSIDer is a software that uses your wi-fi card to scan and display all the wireless networks in your vicinty, and also maps the signal strength of each network. You can use the information to choose a less congested channel for your router. First of all, there are no less than 25 APs (access points) or wireless connections. 95% of these are Tikona wireless connections - there is a Tikona wireless access point on top of my building. The Tikona routers show up under the name 'ruckus' - an appropriate name, considering that they are generating all the wi-fi noise and disturbance. And it is these Tikona routers that are hogging literally all the bands from 6 to 11. 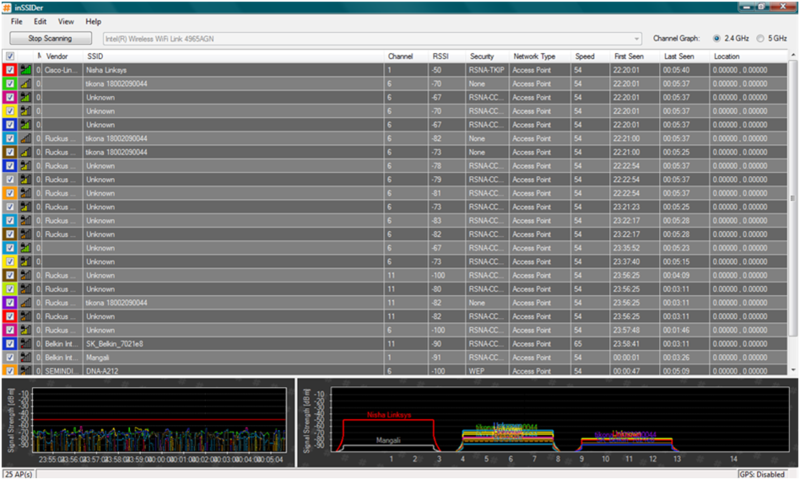 I switched to 1 after the scan - you can see my router in red (Nisha Linksys) but even 1 is not interference free. Seems that our wi-fi networks are getting extremely crowded. I now have a choice to either switch back to internet through LAN (not a choice really) or to get a more powerful router. 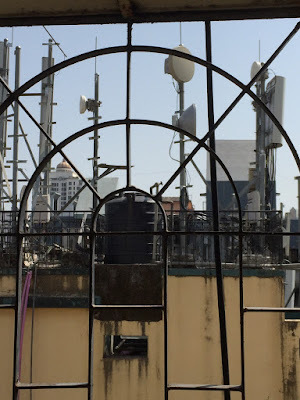 I doubt if my connection can hold its own against the plethora of ruckus-causing Ruckus routers that Tikona has put out in my building. If you face problems with wi-fi connectivity, do download this tool and run the scan. The results may surprise you. hey! awesome blog thanks for sharing this nice post. I really enjoyed your post. I am a new reader of you blog. I have created a blog about Laptop Reviews . Take a look my website. Thanks. Nice writeup. Perfect blend of tech info, irony and humour. Really enjoyed it. Oh I didn't know there was such a thing called wi fi clogging! When I was facing this problem of network disconnecting / connecting on it own, I changed the wireless port software and the problem was solved! If the clogging is a genuine issue, why don't we face it in singapore? Also what is 'Tikona'? Manish, Tikona is a Wireless Broadband provider in Singapore. You probably do not face the issue if you have the newer 802.11n routers and wi-fi cards as they are dual band, 2.4 GHz and 5 GHz. So, you have more flexibility to switch between channels across the two bands. Also signal strength is a factor - even if there is signal interference, you will pick up the strongest signal at the spot. Tikona's signals are way stronger than any others. If I switched to Tikona, I would not have a problem. Trouble is, they have bad cust service and I stopped using them. So I struggle. Austina, thanks for reading and commenting :) I also checked out your website. Cool stuff!